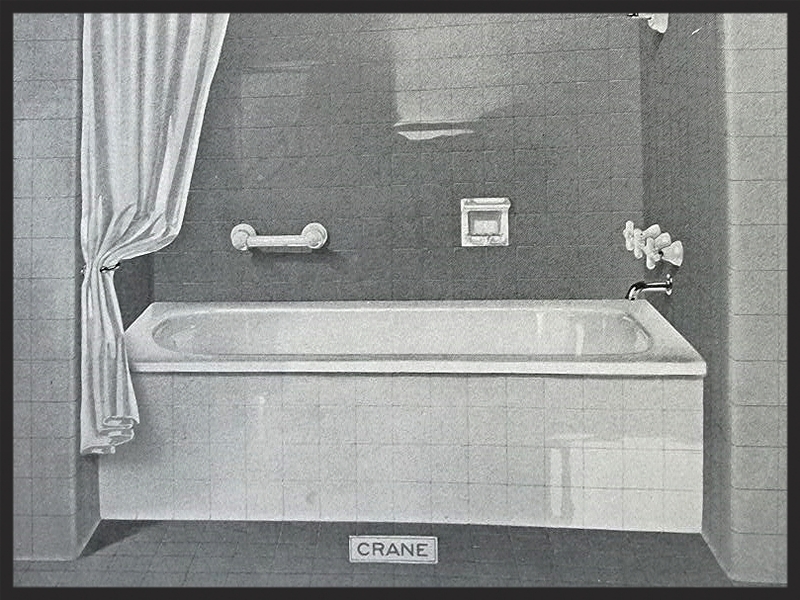 Please indicate the type of tub you are interested in based on the following illustrations. Please fill out the contact form below as thoroughly as possible. We are adamant about good/excellent quality old plumbing. None of our pieces have been re-finished. TAKING MEASUREMENTS: When discussing plumbing we use the word width for the longest side - to describe how high (how tall) the item is we use the word height or depth. We use "front to back" to describe distance perpendicular to the longest side (face). NOTE: the following photos are for demonstrative purposes only. If you do not know, check the other plumbing in your bathroom. It is usually located on the underside of the lavs and sinks or inside the tank for toilets.